OSWEGO, NY – As the countdown continues toward Oswego Speedway’s 65th consecutive season of green flag racing, fans have the opportunity to assist in getting the ‘Steel Palace’ ready for action on April 25 with the 12th annual Pizza Villa Spring Spruce-Up Day. 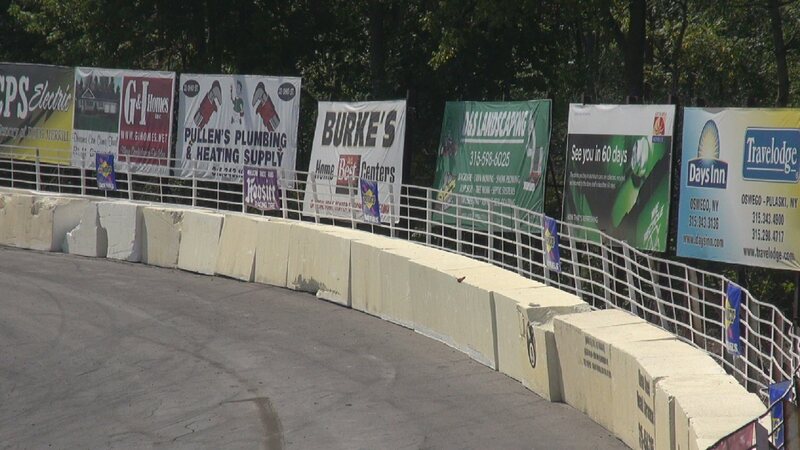 Oswego Speedway will open gates to the public for the first time in 2015 on April 25 for the annual Spring Spruce-Up Day, presented by Pizza Villa of Oswego. The annual Spruce-Up Day will again begin at 10 a.m., a two-hour change from the previous 8 a.m. start in years passed. Among the tasks on hand will be re-painting heat race victory lane, touching up the start/finish line stripe on the main straightaway, as well as cleaning up the walkway leading to the Speedway’s main entrance. Those in attendance are encouraged to bring push brooms, small hand tools, and pickup trucks if available. Any and all fans and community members are welcome to help kick off the beginning of the 65th anniversary Oswego Speedway racing season and enjoy a great lunch provided by the folks at Pizza Villa of Oswego. On track activity at Oswego Speedway begins May 2 with the annual open test session running from 1-5 p.m.
Spectators can watch team testing from the grandstands for free. Oswego Speedway’s 2015 racing season will kick off on May 9 with the 65th annual opening night celebration featuring the lid-lifters for the Novelis Supermodifieds and Pathfinder Bank SBS, as well as the 75-lap Richie Evans Memorial for the Race of Champions Asphalt Modified Series presented by Planet Fitness and Mitchell’s Speedway Press. Oswego Kartway will also conduct a Spruce-Up Day on April 25, behind the Speedway’s rear grandstand. 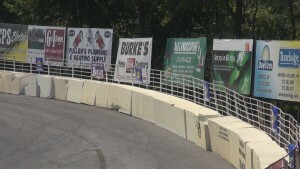 The Kartway’s Spruce-Up program will follow the same schedule as the Speedway. For more information on Oswego Speedway be sure to visit www.oswegospeedway.com. You can also LIKE the (Official) Oswego Speedway page at facebook.com/OswegoSpeedway, or FOLLOW on Twitter @OswegoSpeedway.